Technology changes our lives in so many different ways. It allows us to communicate better, it can make employees more productive at the workplace. We see technology touch almost every part of our day in almost every walk of life. One area it’s made a huge difference is in the field of medicine. Technology saves lives and helps patients live better, more fulfilling lives. We certainly see evidence of this every day at RHRLI. At RHRLI, technology is the basis of our practice. We help patients find a permanent solution to hair loss or thinning hair using cutting edge robotic technology. That solution is called the ARTAS® system and it’s a hair transplant procedure that uses a robotic arm to identify and transplant healthy hair. RHRLI is the only hair treatment center on Long Island that has ARTAS® and we want you to know about this life changing treatment and the robotic technology behind it. The ARTAS® system is a hair restoration procedure, but it’s unlike any other transplant you’ve ever heard of. ARTAS® is a robotic Follicular Unit Extraction (FUE) procedure that you don’t have to worry about a surgical incision leaving stitches and scars on the back of your head, like with Follicular Unit Transplantation (FUT) procedures, also known as “strip surgery.” This means that the ARTAS® system will not be as painful as strip surgery and will leave you with less recovery time. Many patients are back to regular activity within a few days. ARTAS® is also superior to other types of FUE procedures. That’s because those other FUE transplants involve the use of handheld devices. Because ARTAS® uses robotic technology, your transplant will be done with more precision than any other transplant you can find. ARTAS® also eliminates the fatigue and guesswork that occurs in handheld devices. According to the ARTAS® website, the system uses artificial intelligence algorithms to identify and select prime donor hair for harvesting. Your donor hair is located in areas on the sides and back of your head where hair isn’t affected by the hormone that causes hair loss. Because this is permanently growing hair, it will continue to grow once it’s transplanted to the area where you’ve lost your hair. 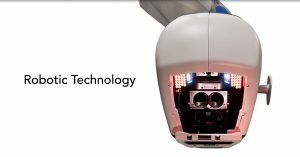 ARTAS® uses a high definition stereoscopic vision system to analyze and monitor your donor hairs at a rate of sixty times per second. While the robotic technology eliminates the potential of human error, you can also rest assured that your doctor, Baiju Gohil will oversee every aspect of your transplant from your initial consultation to the procedure itself. Dr. Gohil is board certified and is also a Fellow of the American College of Surgeons. He has been practicing for more than a decade. At RHRLI, we believe in our robotic technology and we know that ARTAS® can be life changing. It’s the least invasive and most precise hair transplant you can find anywhere and it will help create a new you. To learn more, contact us today.